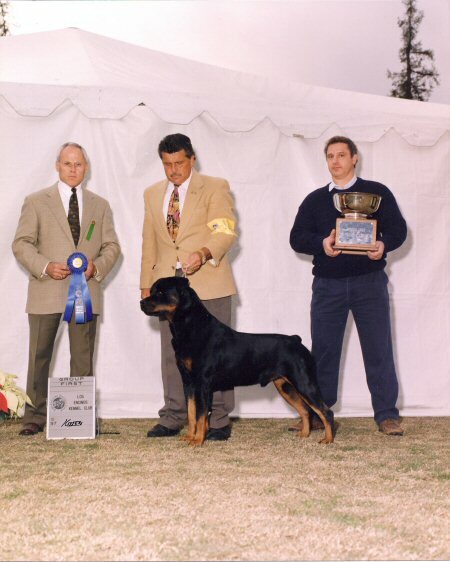 Rusty went out as a Limited Special with boxer handler, Gary Steele, during 97/98, after a move to So. California. 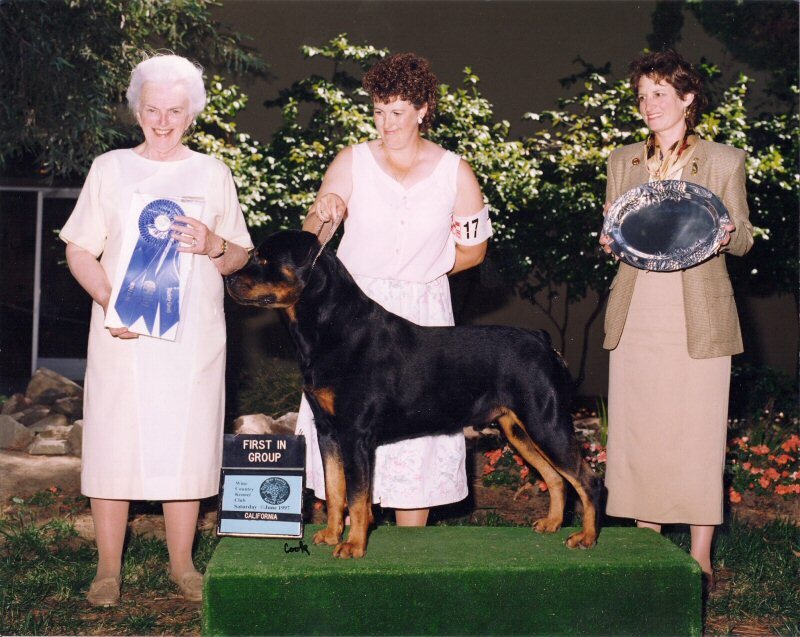 He took a total 34 Best of Breeds, 10 Group placements, 3 Awards of Merit and a coveted ARC2000 Select Award. 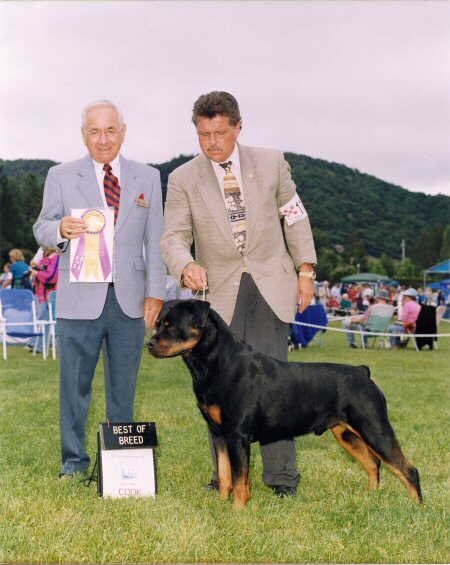 His invitation to show at Westminster 1999 was not to be because of relocation. 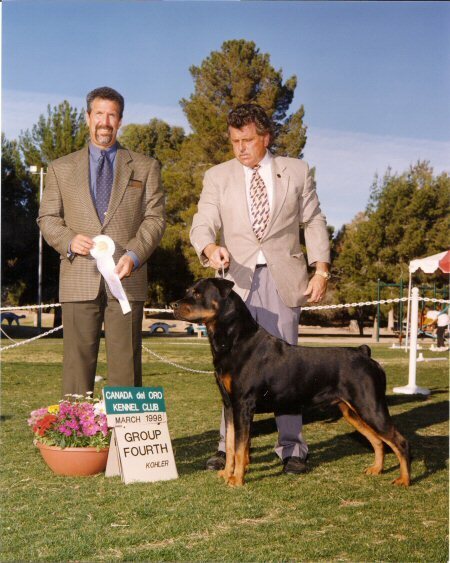 He was ranked in the TRQ Top 10 and at one time was #3. 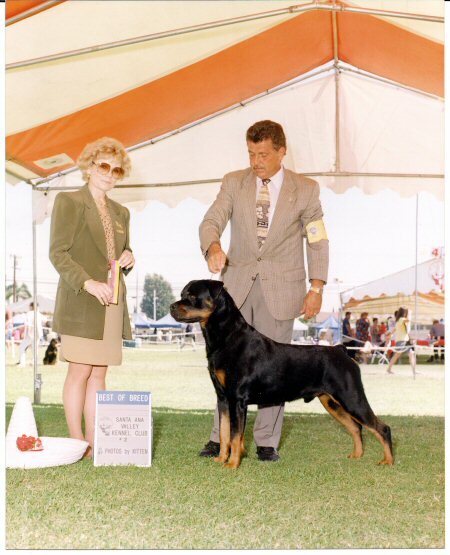 At the same time, he also competed the Obedience ring to attain a CDX (advanced obedience title).